DePuy Attune knee replacements promise quicker recovery and more natural movement. But hundreds of patients needed revision surgery after their Attune implants loosened. Some patients have sued DePuy over their faulty Attune knee replacements. DePuy engineered its Attune knee replacement to be one of the most advanced on the market. But patients have filed hundreds of reports claiming that the devices loosened. At least one study found an “unusually high” failure rate for Attune knee implants. The problem may stem from cement failing to bond components to the tibia – one of the bones in the lower leg. The U.S. Food and Drug Administration has received hundreds of complaints about Attune knee problems. Some patients have filed Attune knee lawsuits over complications they experienced. The DePuy Attune knee system is a total knee replacement implant. DePuy also manufactures an Attune model for revision knee replacement surgery. 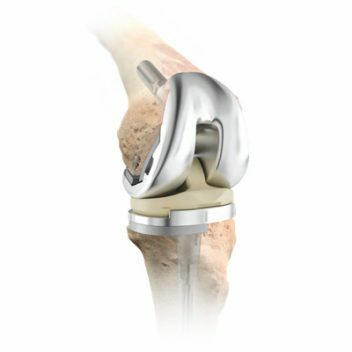 DePuy designed the Attune knee to improve stability and motion. DePuy’s rotating platform design is intended to reduce stress and wear on the implant. The DePuy Attune knee hit the U.S. market in 2011. In March 2014, DePuy Synthes announced two new technologies for Attune. One had a rotating platform design. The other had an anatomic patella — to replace the natural kneecap. DePuy claimed that the upgrades would improve range of motion and reduce implant wear. What Is the DePuy Attune Knee Made of? 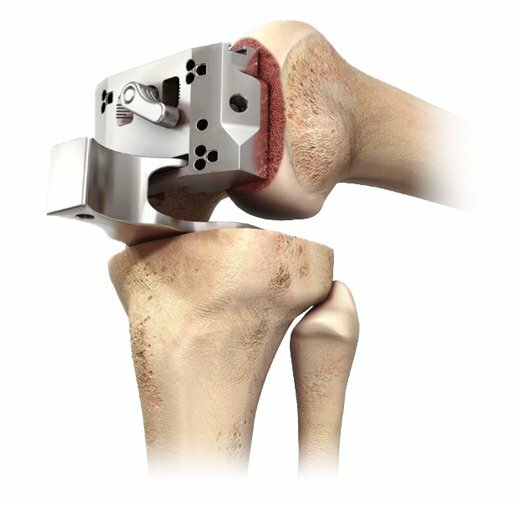 Attune knee replacements include metal and plastic parts. Metal Attune knee components are made from a Cobalt-Chromium-Molybdenum alloy. Other Attune parts are made from DePuy’s own polyethylene formula. Attune knee replacement surgery lasts about two hours. The surgeon removes damaged bone and replaces it with the Attune knee prosthesis. Surgeons use cement to keep the device in place. In the weeks before surgery, patients may undergo physical therapy. Their doctor may also put them on a weight loss program. After surgery, surgeons will schedule follow up visits. The doctor will examine the knee replacement to see that it is healing and working as it should. Patients should let their surgeon know if they experience knee replacement complications. Loosening is one of the most serious Attune knee problems. A study suggests it may be one of the most common. A 2017 study looked into DePuy Attune tibial loosening. Researchers found that Attune knees had an “unusually high” early failure rate. They found more than 230 reports to the FDA about Attune tibial loosening. Tibial loosening happens when the plate attached to one of the lower leg bones comes loose. Tibial loosening can lead to instability or dislocation. The study suggested that the problem was a failure of the cement to bond the implant to the bone. The study’s authors also suggested it was an underreported problem with Attune knees. They published their work in the Journal of Knee Surgery. Attune knee components may also fracture. This may also cause loosening, pain or other problems. Loosening can also lead to fractured bones. Loosening may cause components to wear out sooner than expected. All of these conditions require revision surgery to repair or replace the knee implant. Patients should remain alert for signs and symptoms of Attune knee replacement problems. Pain and instability are among the clearest early warnings of knee replacement loosening. Attune knee lawyers filed the first DePuy Attune knee replacement lawsuit in September 2017. Several more Attune patients have filed suits since then. Attune lawsuits are still in the early stages. There have been no court verdicts or publicized settlements yet. Attune knee lawyers are taking new cases. Based on the number of reported failures, there could be hundreds of Attune knee replacement lawsuits. If that happens, attorneys may ask to combine them in a multidistrict litigation (MDL). MDLs let several, similar cases move more quickly through the legal process. No Attune knee implants have ever been recalled. 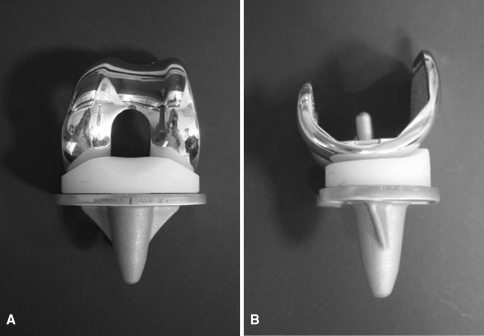 But in June 2015, DePuy recalled its Attune Knee Tibial Articulation Surface Instruments. Doctors use the instruments to implant Attune implants during surgery. An FDA announcement reported that a small wire coil on the instruments could come off during surgery. If that happened, the coil could fall into the surgical site. The part, called a Balseal, is small. Surgical staff might not notice it falling into the wound. There was a risk that surgeons might leave it in the patient’s body. DePuy received FDA approval for Attune in December 2010. The FDA approved it through the agency’s 510(k) clearance process. The process allows medical devices to make it to market faster. It lets manufacturers skip much of the FDA’s more strenuous approval process. 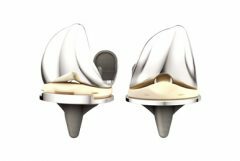 To gain FDA approval, DePuy only had to show that the Attune knee system was “substantially similar” to a device already on the market. DePuy manufactures several other knee replacement implants. This includes one product line that has been around since the 1970s. DePuy’s Sigma Knee System is among the company’s most popular knee implants. DePuy introduced it in 1997, a year before Johnson & Johnson acquired the company. Doctors have implanted DePuy Sigma knees in an estimated 1.7 million patients. The DePuy PFC Sigma RP-F implant requires surgeons to remove more of the bone, which can lead to complications. DePuy introduced its LCS knee replacements in 1977. Surgeons implanted 700,000 of the devices in patients. The company expanded the product line in the 1990s and changed the name to LCS Complete. DePuy still uses components developed for the original design. DePuy also manufactures software called TruMatch Personal Solutions. TruMatch includes a set of custom surgical instruments and a computer software system. These let surgeons customize the knee replacement based on the patient’s specific anatomy.